According to U.S.-based analytics vendor Net Applications, Windows 10 powered 15.6% of all Windows PCs in March, a 1.4-point increase from the month prior. Net Applications measures user share -- a proxy for the percentage of the global PC population running a particular operating system -- by tallying unique visitors to clients' websites. Net Applications' Windows 10 growth last month was 25% larger than the gains in February and the fourth largest since the operating system's mid-2015 debut. Windows 10 continued to put distance between it and other versions of Windows, including Windows XP (with a 12% share of all Windows) and the combination of Windows 8 and 8.1 (13.3%). 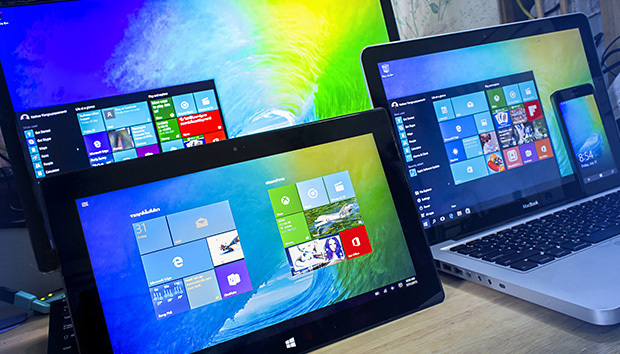 Windows 10 has been Microsoft's second-most-popular OS, behind only Windows 7, since last month. Another data source, Irish metrics firm StatCounter, put Windows 10 at 16.5% of all personal computers for March, a 1.7-point gain, for a growth rate about 26% greater than February's. StatCounter measures global usage share -- a proxy for activity rather than users -- and although its estimate for Windows 10 was larger than Net Applications', the increase in growth was indistinguishable from its rival's. Windows 10's gains last month came primarily from Windows 7, currently the de facto standard in enterprises. Windows 7's user share fell in March to 57.4% of all Windows PCs, a decline of half a percentage point from the month before. Windows 10 adoption recovered from a lackluster February to reach record levels as measured by two third-party sources.